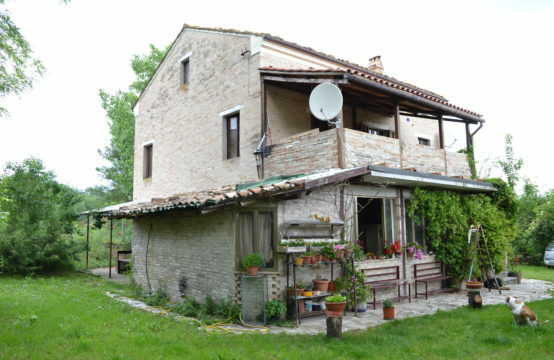 Old Palazzo ready to be moved into, for sale in Le Marche, in Monte Giberto. 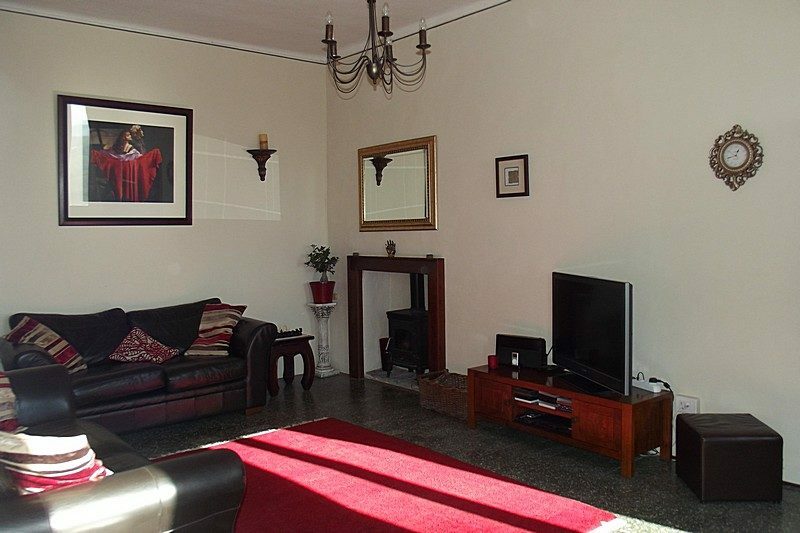 This house is on four floors with 5 double bedrooms, a garden and a roof terrace. 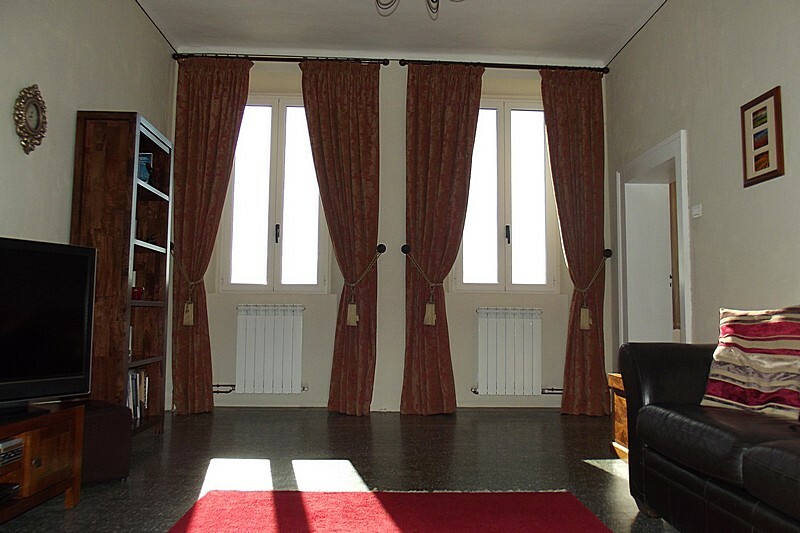 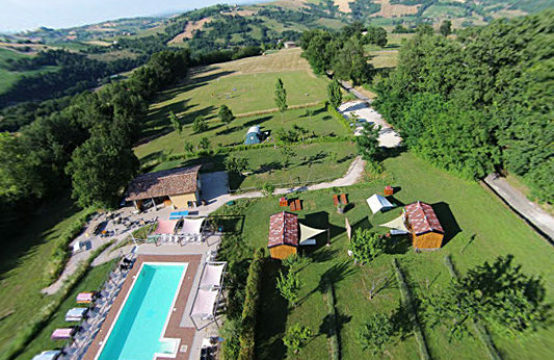 The property is about 30 minutes from the beach and motorway exit and an hour and 10 minutes from Ancona airport. 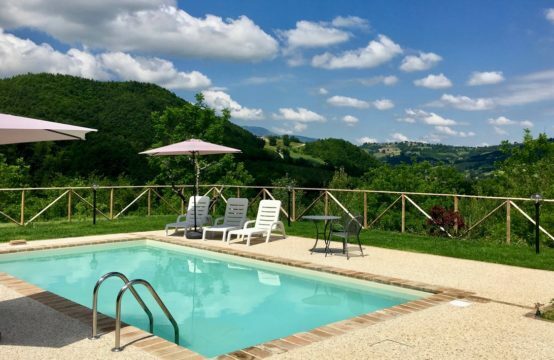 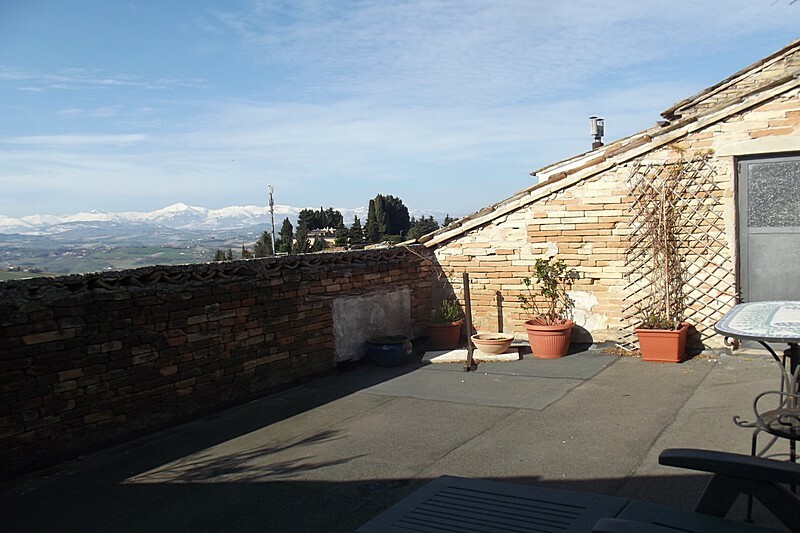 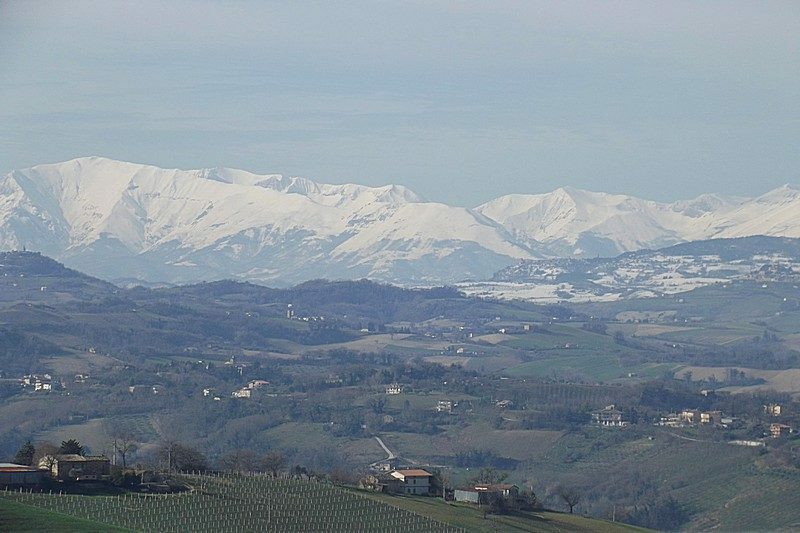 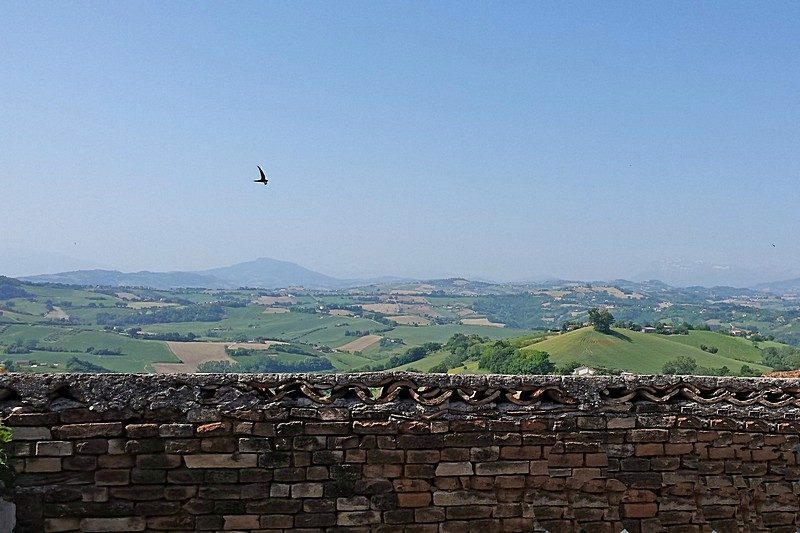 This old building in the centre of Monte Giberto has a garden and a roof terrace with superb views of the Sibillini Mountains and surrounding hilltop towns. 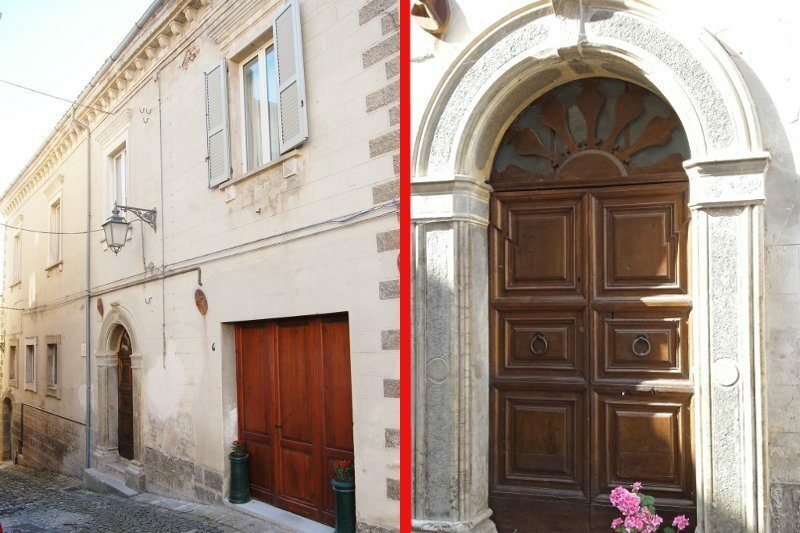 The palazzo is large and spacious with a south facing garden at the rear as well as a private roof terrace on the second floor. 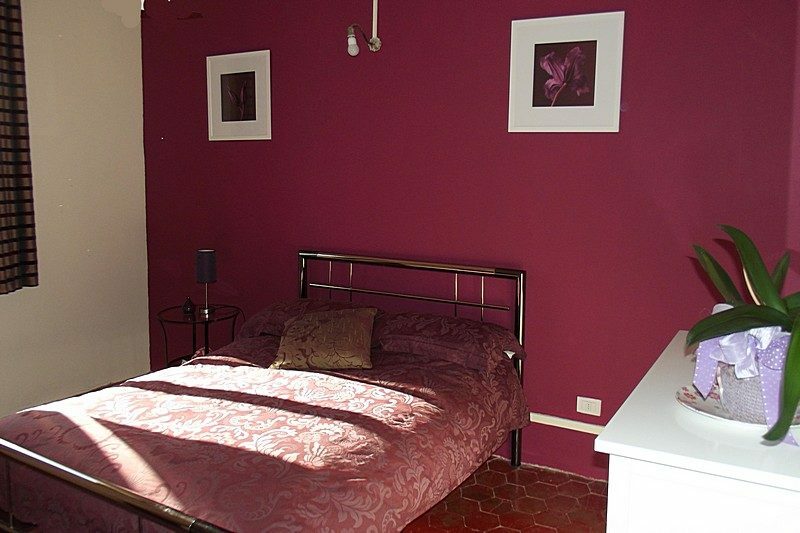 All rooms are light and very spacious with high ceilings, terrazzo floors and in some rooms the original terracotta tiles. The property is on four floors, two of which are fully restored. Each floor is approximately 160 m², except the second floor, which is roughly 100m². 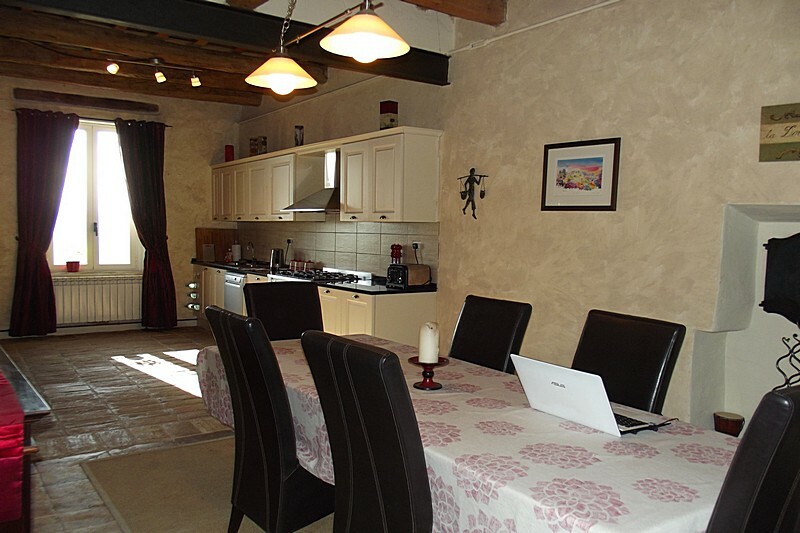 On the ground floor, there is a large hall, a large living room with a wood burning stove, a spacious kitchen/dining room also with an open fireplace, a large double bedroom and a bathroom. 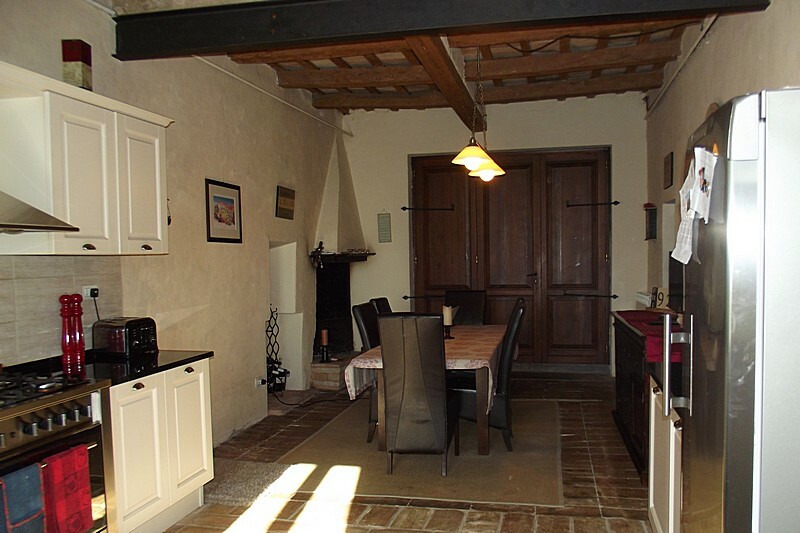 On the first floor, there are four double bedrooms and two bathrooms. 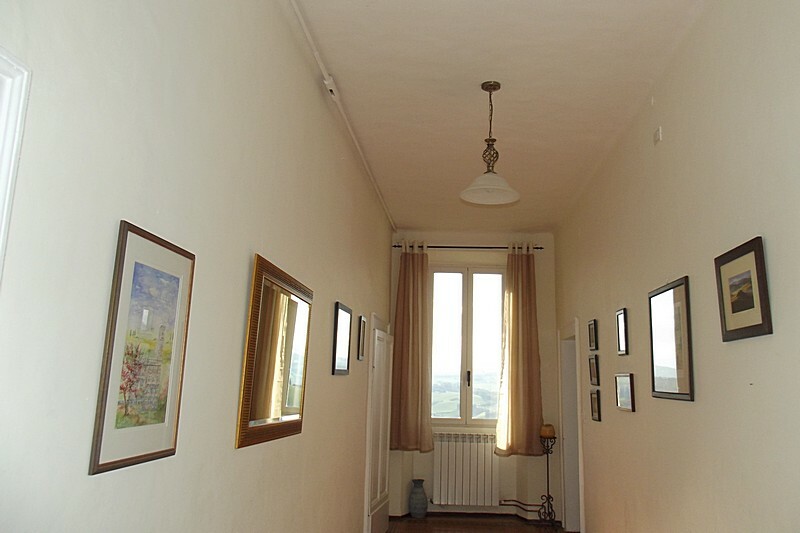 The second floor is currently used as storage rooms, but has an attractive terrace with superb views. 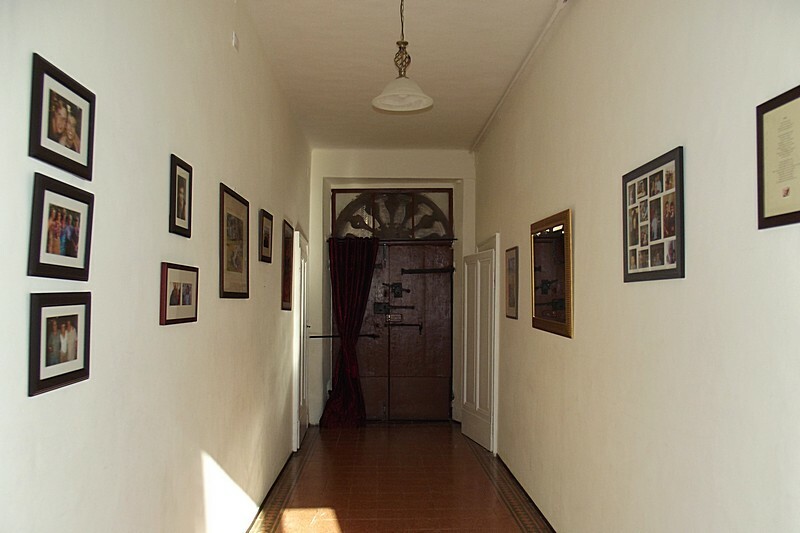 There is a semi-underground level that has beautiful original features like tall bricked archways, which could be converted to large day rooms opening onto the garden, which can also be reached from the road below. 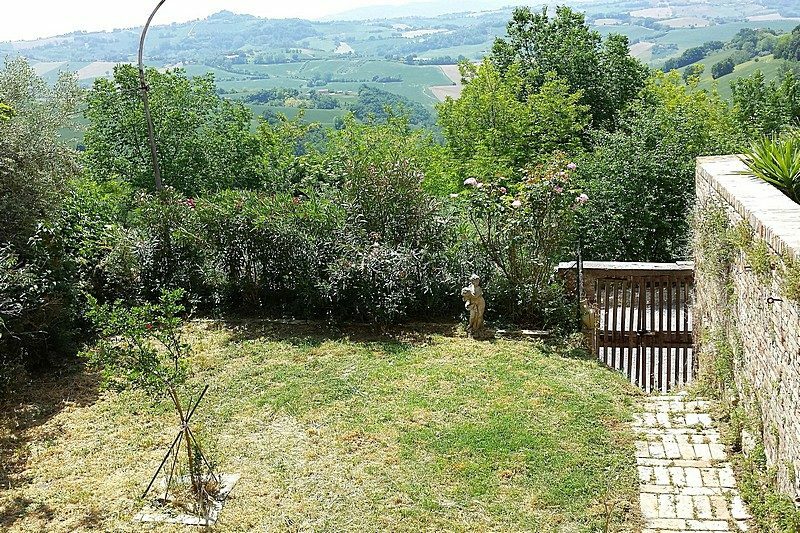 Water, electricity and gas connected. 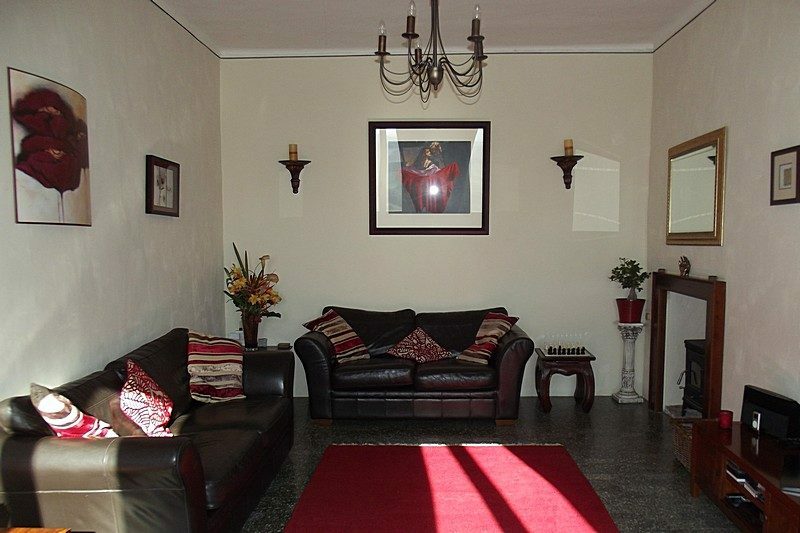 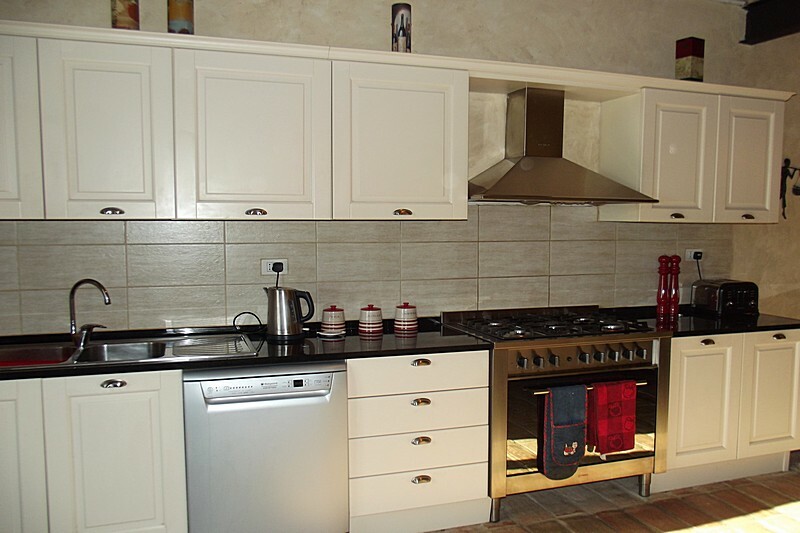 The property is suitable for a family home or as a holiday home.